Talks between U.S. and Taliban officials aimed at arranging peace negotiationsin Afghanistan were set for a second day on Tuesday after discussions around the future of foreign forces and a possible six-month ceasefire, Taliban sources said. 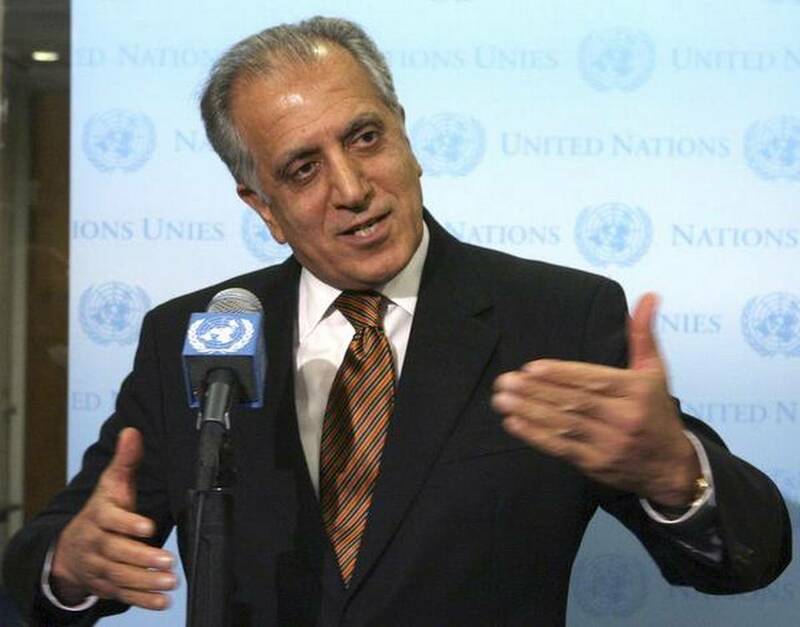 The three-day meeting in Abu Dhabi is at least the third time that U.S. special peace envoy Zalmay Khalilzad has met Taliban representatives as diplomatic efforts to end the 17-year war have intensified this year. Taliban officials, speaking on condition of anonymity, said the U.S. delegation was pressing for a six-month ceasefire as well as an agreement to name Taliban representatives to a future caretaker government. The officials said the Taliban, fighting to drive foreign forces from Afghanistan and bring in their version of strict Islamic law, were resisting a ceasefire as they felt it would damage their cause and help U.S. and Afghan forces. “If these three countries – Saudi Arabia, UAE and Pakistan – become guarantors and the U.S. appoints the head of a caretaker government in Afghanistan that we nominate, then we can think about a ceasefire,” one senior Taliban official said. There was no immediate comment from the U.S. embassy in Kabul. The latest round of diplomacy comes about a year after the United States sent thousands of extra troops to Afghanistan and stepped up air strikes to record levels, with the aim of pushing the Taliban to accept talks. However, despite U.S. insistence that any peace settlement must be agreed between Afghans, the Taliban have refused to talk directly with officials from the Kabul government, which they consider an illegitimate, foreign-appointed regime. “Talks revolved around withdrawal of occupation forces from Afghanistan, ending the oppression being carried out by the United States and her allies and views were exchanged with the said countries about peace and reconstruction of Afghanistan,” Taliban spokesman Zabihullah Mujahid said in a statement. An Afghan government team travelled to Abu Dhabi “to begin proximity dialogue with the Taliban delegation and to prepare for a face-to-face meeting between the two sides”, government spokesman Haroon Chakansuri said in a statement. But there was no sign from the Taliban that they were ready to accept talks with the government. On Monday, Mujahid dismissed reports of a meeting as “propaganda”. The United States says the aim of the talks is to facilitate an Afghan-led process and the inclusion of Saudi Arabia, the UAE and Pakistan in the talks reflects a U.S. desire to bring in countries with an interest in Afghanistan. Previous meetings were held in Qatar, where the Taliban maintains a political office, but a push to include Saudi Arabia, which is hostile to the gas-rich Gulf state, prompted a change of venue to Abu Dhabi.